What Lake in New Hampshire is Right for You??? 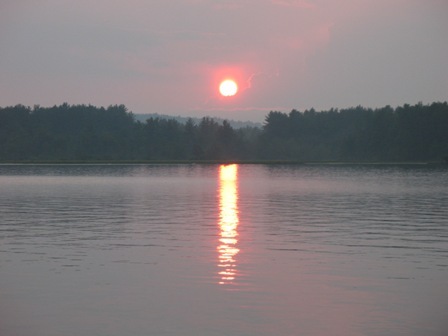 If you are looking for a lake property in New Hampshire you have hundreds of lakes to choose from. While that means you will have lots of possible choices, it will also mean that sorting through the various properties and water bodies to determine which one is right for you can be difficult, time consuming, and downright frustrating. What you really need is some help from an expert in the area. Lady of the Lake Realty has experience not only in lakefront real estate purchases but also boating , fishing, skiing, snowmobiling, hiking, water-skiing, shopping and general area knowledge. My wife, Paula Hinckley, started Lady of the Lake Realty in 1999, one of the first waterfront web based real estate businesses. I joined her in 2007. Together, we will help you with questions on lake water quality, boating restrictions, Comprehensive Shoreland Protective Act, Septic Systems, and general news about the area. If you want to start by familiarizing yourself with area lakes visit one of our websites: http://www.lakeorskirealestate.com/nh-real-estate/quick-lake-search.html . If you want to get started looking for your new getaway we can help. It starts with your wish list. A typical wish list might be a 3 bedroom, 2 bath home, sandy beach within 30 min of skiing on a 3000 acre lake with a salmon fishing . Yes we can find you that home!! But realistically are you in that price range. Ok you're not in the $600,000 plus price range but you would still like the benefits of your wish-list, there are many beach access communities on large lakes that you can view the water, walk to the beach and have your boat on your own dock for less dollars than waterfront owned. Or consider a smaller lake, seasonal property or a home on a motorboat restricted lake. A couple of ideas for your wish list, sandy beach and southwest exposure so you can enjoy swimming with the kids and the sun all day along with a great sunset. For additional information on lake homes call Lady of the Lake Realty at 1-888-737-5550 or e-mail at info@nhlakesrealty.com or visit our website to view lake homes in New Hampshire at www.nhlakesrealty.com or www.lakeorskirealestate.com Contact us today!